European transport workers are standing up to demand quality jobs for transport workers, and a safe, reliable service. Coordinated actions by unions across Europe will show the strength of our movement against exploitation and unfair competition. That’s the Fair Transport Europe campaign. Take a look at our actions and stories, and make sure to follow our Facebook page for all the latest news! 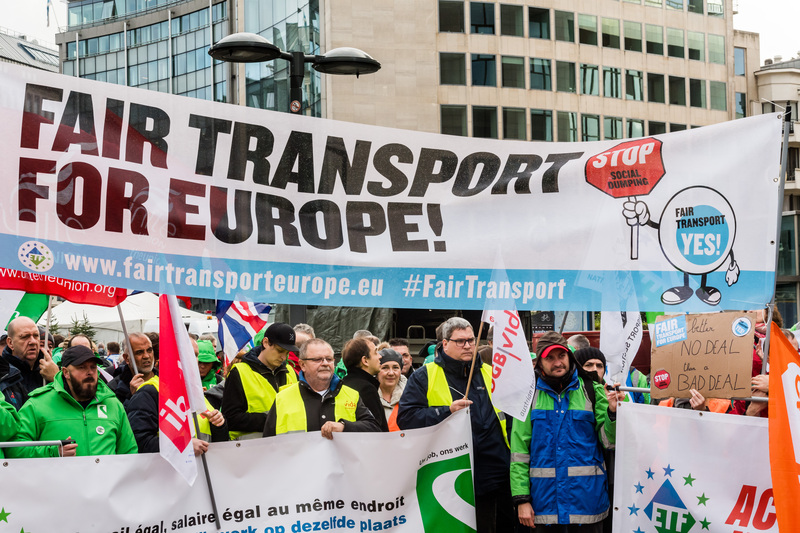 Fair Transport Europe is a campaign of the European Transport Workers’ Federation, which represents over 5 million transport workers across the continent. ‼️NO SLAVE LABOUR IN EUROPEAN WATERS! 🇮🇪😢 Over the past few years Ireland has been hit by scandals that revealed human trafficking and abuse of migrant workers in its fishing industry. ✊ Now a successful campaign by the International Transport Workers' Federation has forced the Irish government to change the immigration rules that let bad businesses trap migrant fishers in dreadful, dangerous conditions. That's good news for everyone. 🐟 #FairTransport means a fishing industry that's fair from sea to plate! The Irish government must follow its commitments and enforce these new rules NOW. ✊🚄 A big victory for safety, jobs and #FairTransport in Belgium! The Belgian railways have released a study showing that it is "financially and technically" impossible to run trains without guards. La SNCB renonce au train sans accompagnateur&comma; "financièrement et techniquement intenable"
🤩 Last week was full of excitement! 🙋‍♀️🙋‍♂️ First our action week, reaching 100+ events across Europe, and then our huge demonstration in Brussels! A river of thousands of transport workers marched through the streets against social dumping and for decent work in a social Europe. Fair Transport Europe is with Ollie Wingfield and 2 others. 🎉✊Today was the day. After more than 100 actions across Europe, it was time to take to the streets. Thousands of workers from unions all over the continent marched for #FairTransport in Brussels. 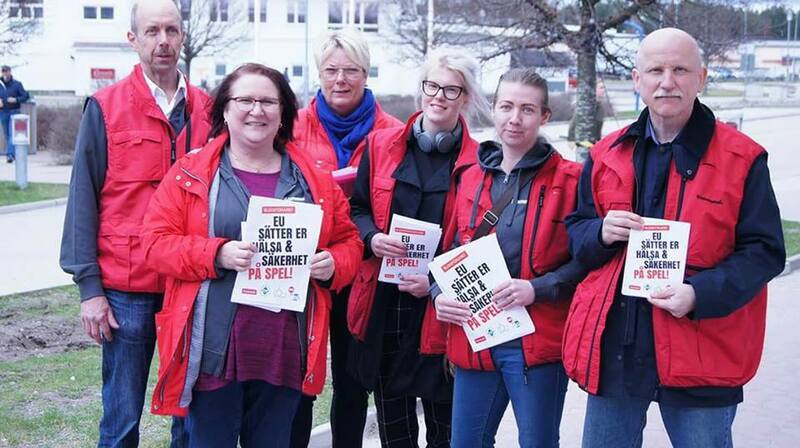 The diversity of the sectors, slogans and signs show that we are right: social dumping and exploitation are felt in all parts of the transport sector. Europe's 10 million transport workers deserve respect, and this has to end. Transport workers can stand together across borders, refusing the attempts of employers and politicians to divide us. We are united behind our manifesto and call with one voice FAIR TRANSPORT FOR EUROPE!